HomeWordpressHow you can create a form in WordPress? You are maybe developer or customer, you build a website and its designed well as you want to build. You add here plugins in the website, using a particle background in your WordPress website. You did everything as you wont according to your planning/ designing. Now you want to gather a information to your customers like feedback, any suggestions etc, Now You have worry because most of the users know that they can’t make any form of WordPress. Yes, I also know that feature recently, now I am going to tell you how you can add form in your WordPress website. You just have to follow my instruction, I will show you the procedure of how you can make it live. 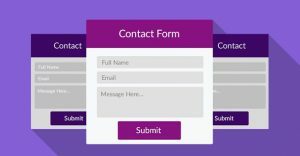 The contact form is a one the simplest form where the owner gets contact details to touch users without exposing your own information, here user fill a simple form which is related to contact details like Cellphone number, email account, name, addresses etc. Its will behave dynamically that will open multi-devices together and open a new page as user requirement. Sometimes owner wants to examine any record or information related to any topic, market strategy, employee company database, inventory and goodwill of the company. Then need a survey form with the help of that form owner can get record easily to existing data or visitors opinion. Some plugins allow you to ask a variety of question to use text or drop-down menu. Google form is one of the best examples of the survey form. Calls to Action (CTA) is a plugin where you site owner allow visitors to contact with them and with the help of calls to action form you can create a highlight area on the page or website. 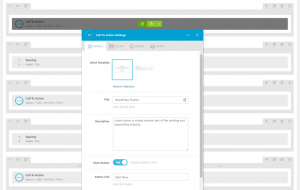 A free number of email collection CTA plugins exit and a user can send directly any type of valuable feedback on site. You should use it, it provides the excellent Call to Action form with powerful features. After clicking the button Add Contact Form a new window will pop-up where you should fill the whole message as you want and your site to send completed message. After finishing it will be displayed on your home screen like as a post.